With 507 million average annual mileage and 6,390 drivers, C.R. England Inc. is the seventeenth most prolific motor carrier in North America. Though C.R. England is based in Salt Lake City, Utah, it is a nationally-focused carrier with a record of tractor-trailer collisions all across America. Since 2012, C.R. England vehicles have been involved in 1796 crashes, causing fourteen injuries and one death within the first few months of 2017 alone. Most C.R. England accidents are concentrated in the west, but twelve C.R. England tractor-trailers have crashed in Maryland in the past five years. Of course, with so many vehicles on the road, some accidents are bound to happen. But the challenging hiring environment, for all trucking companies, makes driving conditions even more hazardous. In their online blog, C.R. England admits that "the severe driver shortage now underway in the U.S. has opened the door to a few bad apples making a living by helping people obtain CDL licenses illegally." Industry-wide, there is a high demand for truck drivers that the employment market just can't meet, leading many motor carriers to hire underqualified drivers out of desperation. Although C.R. England attempts to combat this pressure with rigorous training programs, their critical need for drivers still pushes them to let "a few bad apples" slip through the cracks. Employment reviewers classify C.R. England as "starter company," meaning they have a tendency to hire new, inexperienced drivers who they don't have to compensate well. Few drivers are willing to accept such poor pay after they gain experience, and only one out of every twenty five C.R. England drivers will stay with the company longer than nine months. In such a competitive hiring environment, companies that are unwilling to pay their employees a decent wage will have a high rate of turnover, unable to attract and retain top talent. Consequently, C.R. England has gained a reputation for their lenient hiring practices. As a corporation, C.R. England has a responsibility to select suitable drivers; and when their drivers are at fault for a collision, C.R. England is liable for any ensuing damages. 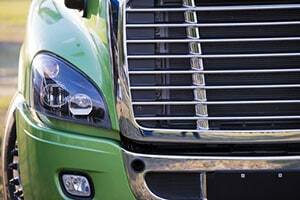 Because most truck accident cases do not involve a notable liability dispute, the real conflict usually involves the settlement value of the injuries. In an ideal world, this means that the jury determines the adequate amount of money damages to award to the victim, aiming to make the victim healthy and whole again no matter who the defendant is. Unfortunately, the identity of the defendant can make a big difference on the settlement value of a claim. When suing an individual person, like a teenager who just got his license or a grandmother of ten, the jury's sympathies can have a negative impact on jury awards. Conversely, a jury is unlikely to feel empathetic toward a big, faceless company like C.R. England, which can lead to a higher trial or settlement value. Even more explicitly, C.R. England claims adjusters can have a productive impact on settlement value. Since C.R. England tractor-trailers are heavier and cause more damage than the average passenger car, C.R. England claims adjusters are accustomed to working with larger dollar amounts and may have a slight bias toward determining larger indemnity payments. What Else is Different About a Claim Against C.R. England? Due to the complicated maze of federal and state regulations that apply to motor carriers, lawyers who typically handle car accident cases are not always qualified to handle a case against C.R. England. Many tractor-trailers are required to carry instruments onboard to track information on the vehicle's speed, airbag deployment, braking, and many other data from the time of a collision. An attorney with specialized knowledge can use these data to help determine whether C.R. England was at fault for the crash. There is a trove of tools that can be used to help victims of C.R. England accidents, if their attorneys know where to look. Looking at the settlement value for similar types of accidents, or better yet, similar types of injuries, can help victims understand the potential settlement value for their claim. Our website provides statistics, including average trial or settlement value, for many of these different variables. For C.R. England claims specifically, listed below are samples of settlement and verdicts involving C.R. England as the defendant. Although these examples may be more limited in their predictive ability, they can give you a feel for how the settlement value of a case can vary, depending on jurisdiction, severity of injury, and economic loss. 2010, Indiana, $1,070,000 Verdict. A C.R. England driver lost control of his tractor-trailer, it hydroplaned, and crossed over the interstate median. In the oncoming traffic, the plaintiff-driver swerved left to avoid a head-on collision with the C.R. England tractor-trailer, his vehicle spun and went sideways in its lane, and was struck by a different tractor-trailer. The plaintiff-driver suffered multiple glass cuts, injuries to his cervical spine requiring surgeries, and a closed head injury with post-concussion syndrome resulting in variable impairment of his motor functioning, visual attention, and memory. The plaintiff-passenger suffered back injuries that required treatment for a herniated lumbar disc. The plaintiffs were awarded $1,050,000 and $20,000 respectively. 2007, Oklahoma, $107,377 Settlement. A male driver died when his vehicle was struck head-on by a C.R. England tractor-trailer. He was survived by his spouse and two adult children. The C.R. England driver reportedly failed to keep a proper lookout, and failed to stay right of the centerline. 2005, Massachusetts, $803,300 Verdict. The male plaintiff suffered spinal nerve damage a herniated disc when his vehicle was struck by a C.R. England tractor-trailer. The C.R. England driver turned left after exiting a parking lot, failing to yield the right-of-way to the plaintiff and failing to keep a proper lookout. Obviously, these verdicts are all pretty old and there are no settlements. What does that tell us? It tells us that C.R. England does not let many cases go to trial and they do a good job with their confidentiality clauses in their settlements. This does not mean they are handing out money. Trucking companies are going to make you file suit and fight if you want top dollar for your settlement. But if you do, you have a good chance of getting a great result. This is true not just with C.R. England but with most trucking companies. Our law firm is based in Maryland. Most of the truck collision cases we handle are in the Baltimore-Washington area, but we handle significant injury cases throughout the entire country. We have a track record of success and a extensive experience at dealing with the nuances specific to truck accident claims. If you have been harmed in an accident with a C.R. England truck and want to consider a lawsuit or a claim for an out-of-court settlement, call one of our lawyers at 800-553-8082 or get a free no obligation Internet consultation.